Death toll from Taiwan earthquake reaches 116. 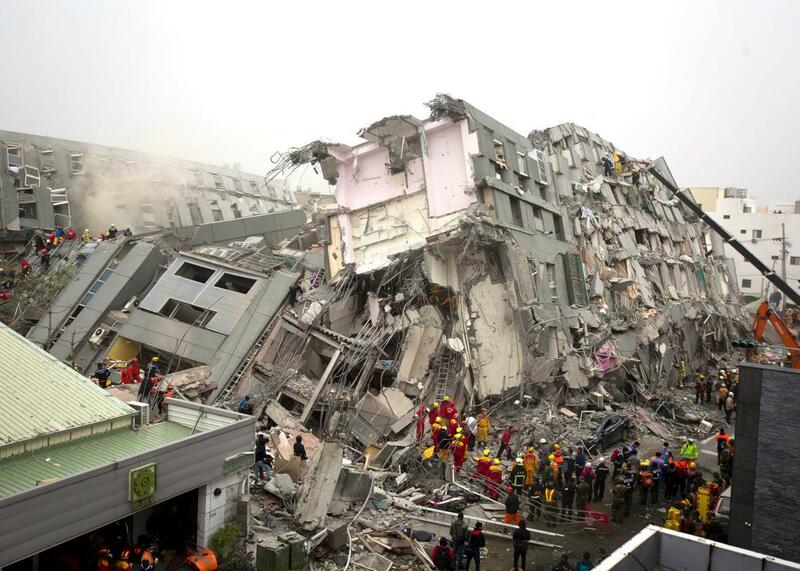 Rescue personnel search for survivors at the site of a collapsed building on February 6, 2016 in Tainan, Taiwan. Rescue efforts have ended a week after Taiwan was struck by a powerful 6.4-magnitude earthquake as the remains of the last person missing from a collapsed building were found. A total of 114 bodies were pulled out of the Wei-guan Golden Dragon Building in Tainan. Two other people died elsewhere in the city after the Feb. 6 quake. Rescuers were successful in pulling out 175 people alive from the 17-story building, although no survivors had been found since Monday. Authorities have detained three people as part of an investigation to figure out why the building was the only one in the city of two million to collapse.